Description: MyTweetAlerts is like Google Alerts for Twitter. You can receive alerts and get emails when someone tweets about some topics and the tweet has more than X likes or Y retweets. You can also get emails if someone tweets about some keywords and he/she has more than X followers. So it is really useful to find tweets that can go viral. Description: It's a visual social media planning platform that should save time when planning social media campaigns, especially in a team. 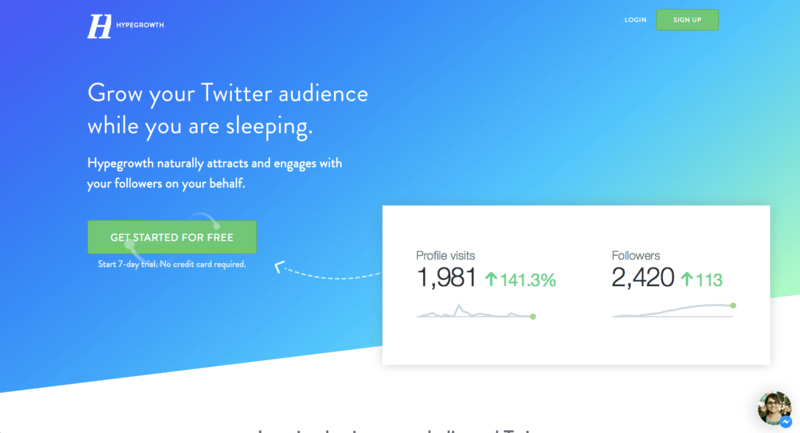 Description: If you have been trying to manually find and engage with the relevant audience on Twitter and think it’s a time-consuming and mundane task, you can do it on auto-pilot while you are sleeping with Hypegrowth. Automatically attract & engage your potential audience, gain relevant followers and drive more traffic to your website. 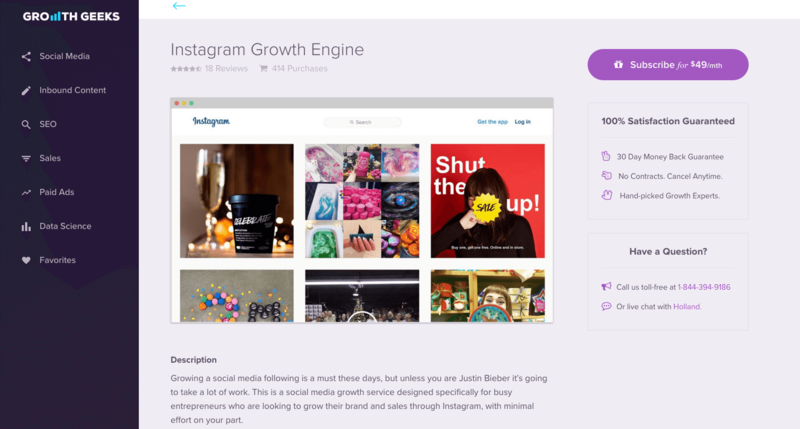 Description: Boostagram.io is an Instagram growth agency that helps companies grow their Instagram following with highly targeted users through programmatic social engagement. Located in NYC and designed by a digital brand specialist and a computer vision engineer, Boostagram.io's technology was built with brands in mind. Their algorithm targets, filters and engages with approximately 2,000 potential new followers per day resulting in the building of a dedicated, targeted following, quickly. They don’t use fake followers, or practice auto-commenting or follow/unfollow tactics. With Boostagram.io there are no systems or processes to integrate: everything is managed by them, and every client has a dedicated account manager. 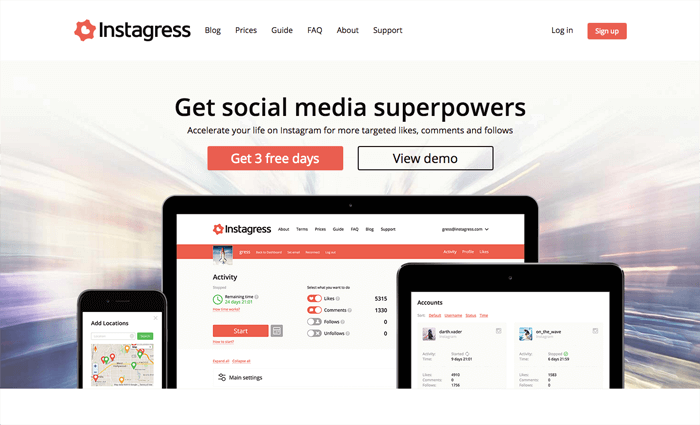 Description: Tired of managing all your social media? Don't want to bring someone onto your team full time to do it? Good Audience provides a management team to handle your social media, giving you back hours every week. Let them focus on crafting and posting content, and responding to your fans, while they bring you leads and manage your social media for you. Want to work with them? Ask me for a personal introduction. 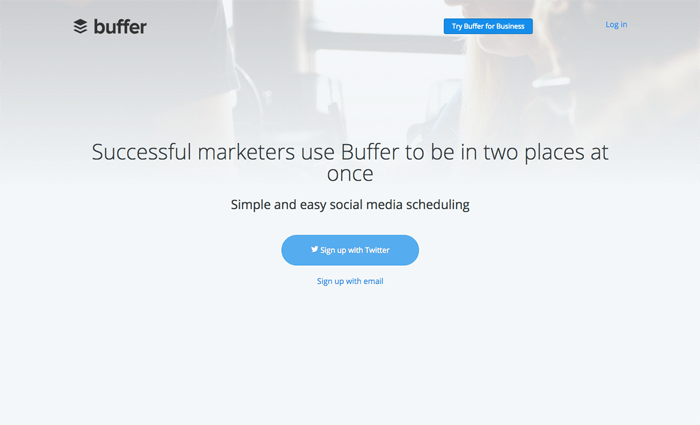 Description: If you're posting articles or images to social media, or simply want to schedule posts for later, Buffer is a great tool. 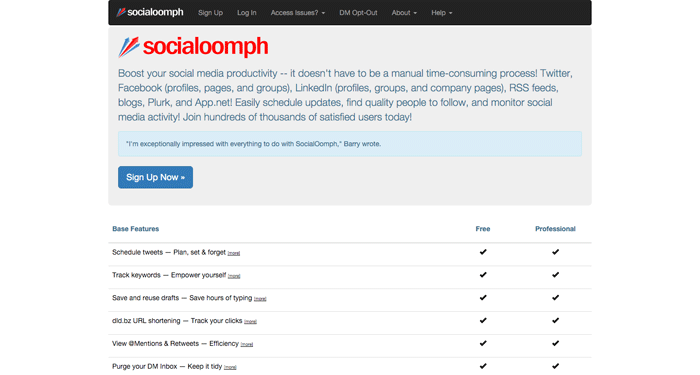 But it's a fantastic tool if you want to get more advanced and plug it into other tools to schedule events to your social media. I connect it to my Pocket via IFTTT so that I can publish relevant articles to my feeds super easily. 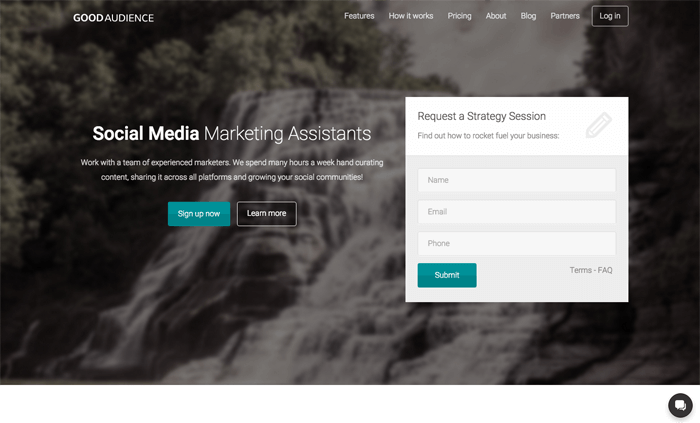 They also make it easy to set up and manage several social media profiles from within one account, publishing at the same time across multiple accounts if you need. Definitely worth ten bucks a month. Description: Recently I had been looking for an awesome solution to help manage posting and queuing of Tweets. And then I found DrumUp. It’s like Quuu + Tweet Jukebox + Buffer. What I like about it most is that it gives you a feed of articles with images to choose from, and you can select which ones go in your queue to post later, which is great for keeping a stream of relevant material going out. DrumUp also has a feature in which you can create your own tweets and schedule them to repeat at a certain interval for a certain amount of times total. Between these two features, it’s easy to create a blend of your own promo tweets and interesting articles going out to your Twitter audience. Description: Growing a Twitter following can help your business. I had a customer just last week say “I found you after you followed me on twitter, and decided to order after looking over your site.” But growing a Twitter following can be annoying. Let a growth geek handle it for you. First month is free. Description: Let's say you have a coffee delivery Startup. You can use Crowdfire to follow everyone on Twitter who follows other similar coffee services, with the assumption that if they follow another coffee Twitter, they must be intersted in coffee, and they'll be likely to follow you back. 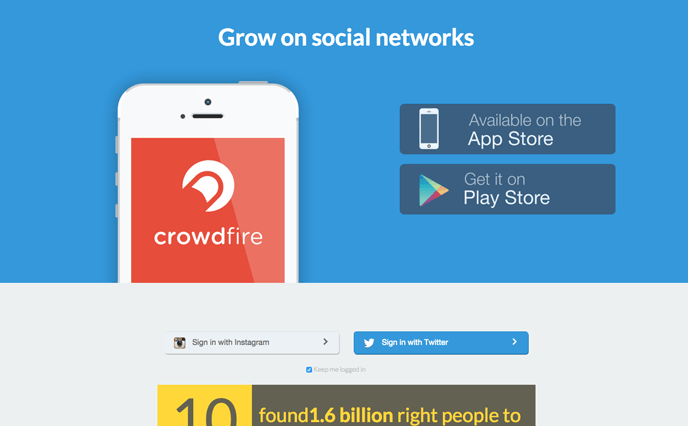 That's what Crowdfire is based off of, and the approach really works. Follow 100 relevant people, and 10 to 20 people (or more) will follow you back. Unfollow the people who didn't follow back, and repeat to grow your following with real people. Works with Instagram too. (Note: Please follow Twitter's and Instagram's TOS so you don't get in trouble. And be warned that some people report CrowdFire automatically DMing people against their will). Description: In my opinion, growing an Instagram following is harder than growing Twitter, because there are less tools out there to automate things. My Instagram for Vacord Screen Printing grew significantly when I used this service. Due to Instagram’s very limited and strict API, there aren’t any super awesome growth automation tools, so you should hire a human to do it. First month is free. Description: The founder of Growth Geeks, Bronson Taylor, suggested I included this one for my audience here. They curate content relevant to your audience and send it out to your Facebook, Google+ and Twitter. But beyond curating content, they also create custom content for your social media, keeping your company’s voice and writing content relevant to your business / audience. Description: I think I learned about this one from the Zero to Scale podcast. It's similar to Buffer in that you can use it to queue posts to Twitter, but the main reason it got my attention is that you can upload a CSV of tweets to schedule them, which would be awesome, and it's fine with having identical tweets in your queue, which Buffer doesn't allow. It also helps you find new people to follow, and can automatically follow people back and whatnot. Lots of features. Description: Make your social media life super simple with this Twitter content automation system. Not good enough? 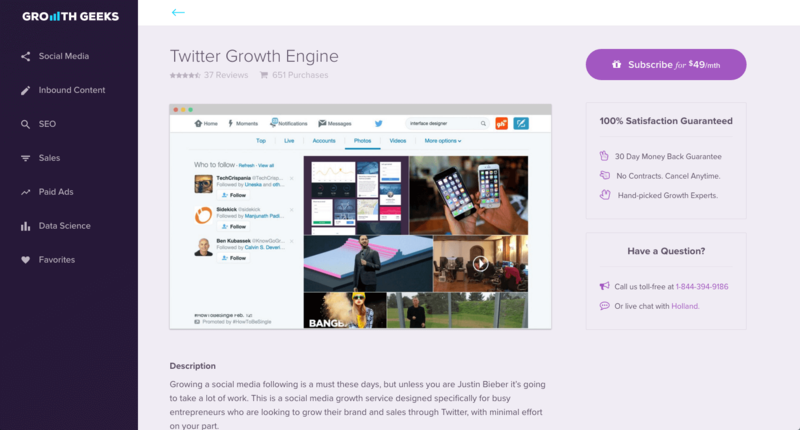 Then use the Tweet Jukebox library to share content with your tribe and help them to help you spread the word about your startup. 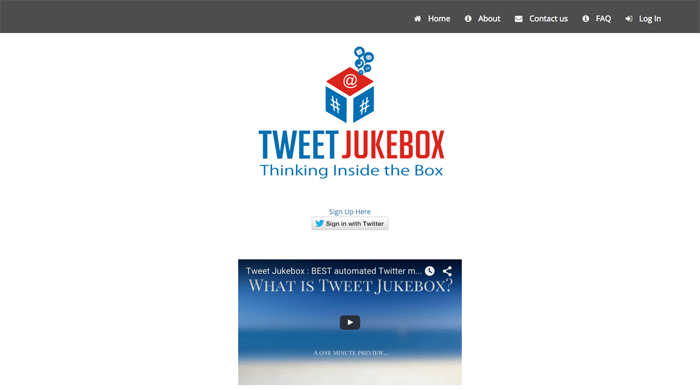 Rotate from saved tweets and automate your posts. Best of all, you can start out a free plan. 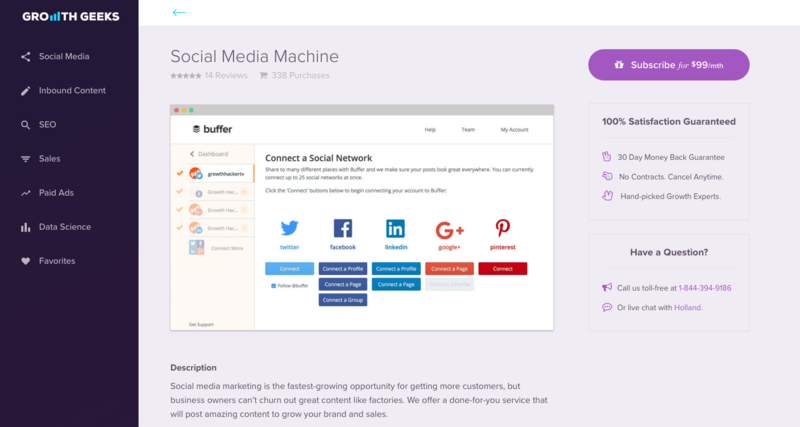 Description: Upflow helps you to discover trending content relevant to your audience and share it on social media with your own call-to-action. 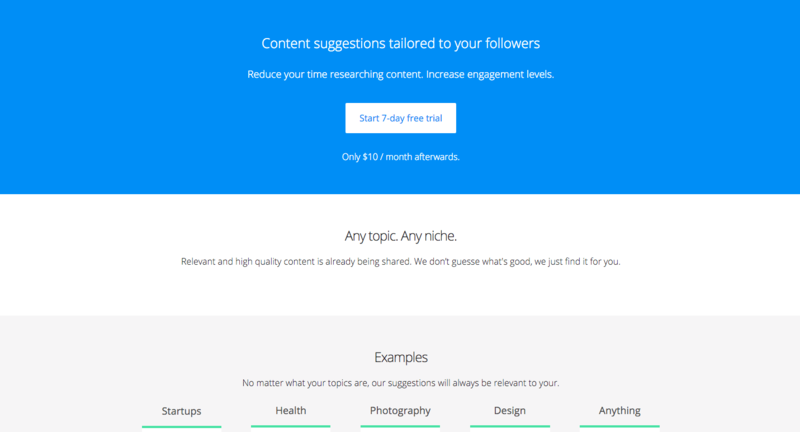 With articles in almost any niche, Upflow can recommend content that has been proven to be popular so that you can share it to your Twitter or any following you have online. 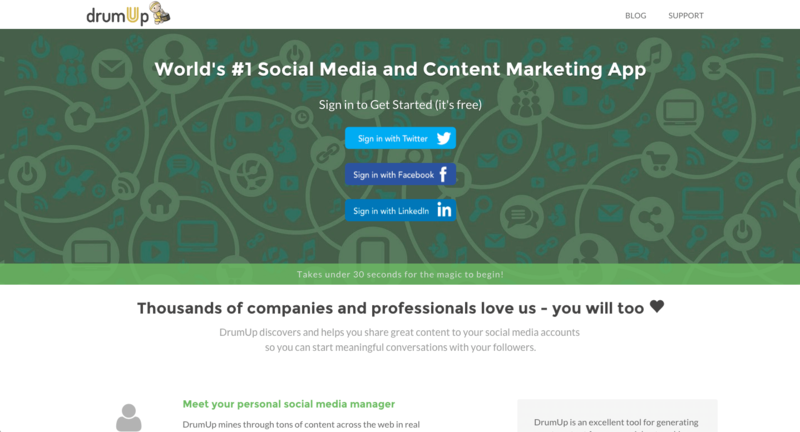 If you're looking to automate your content marketing, Upflow may be exactly what you need. Description: SoundCloud Helper automates the job you would normally do on SoundCloud to gain more exposure; follow and unfollow users. Runs on your Mac. 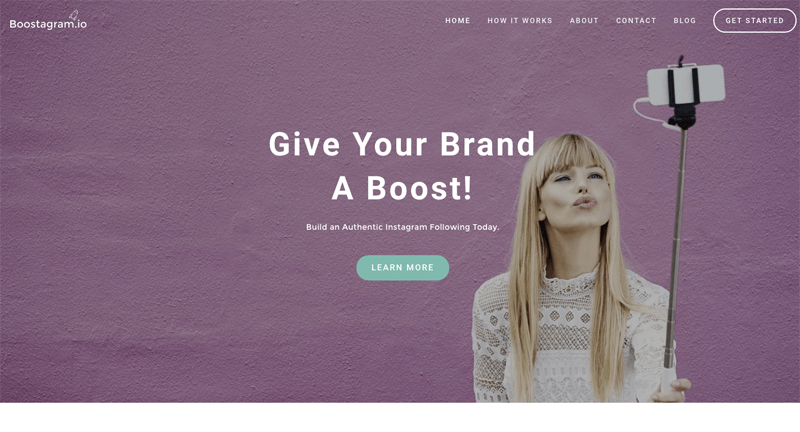 Description: Instagram tool that tracks user actions on Instagram as likes, comments and follows and lets you research the competitors' growth strategy, monitor customers activity to understand their interests and identify influencers on Instagram.